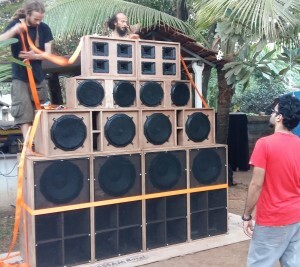 The sound system may be new, but the energy within the Indian reggae scene is clearly far from fledgling. Arriving from Hong Kong, I spent the better part of a week attending the inaugural Goa Sunsplash Festival, 16 January 2016, as well as its official pre and post-parties. Organized by Delhi-based promotion and performance crew Reggae Rajahs – with plenty of assistance from all facets of the national scene – the fest not only represents a coming together of the like-minded, but also symbolizes a firm milestone in the subcontinent’s development of reggae. 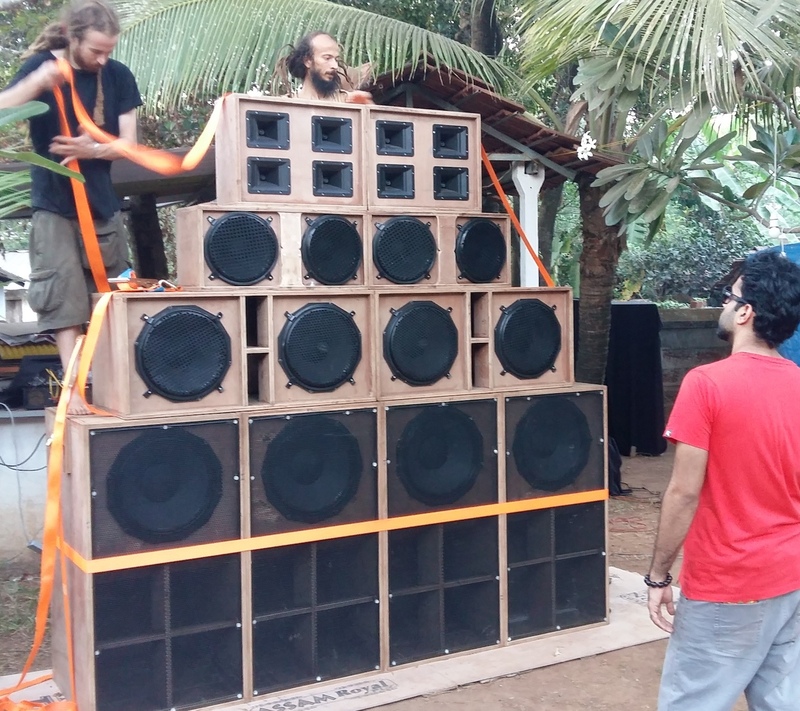 Making its mark on the festival was the public debut of the 10,000 Lions Sound System, hand-built for the occasion while bearing post-party ambitions for spreading reggae and its related genres across all of India. Spanning five days in total, parties happened all around north Goa – from the beach at Arambol to bars and clubs in Anjuna to a relaxed resort in Mandrem – all serving to not only showcase the nuances of the extended Indian reggae and bass scene but also to provide performance opportunities to a wider range of artists than the one-day festival itself could provide. An eclectic mix of performers, seasoners, fortunately-timed vacationers, and tuned-in locals gathered to share the joys of reggae music and sound system culture while enjoying some fine weather at the edge of the Arabian Sea. Wednesday’s slightly secretive opening event was a low-key, nearly private affair, as the 10,000 Lions Sound System was given its final warm-up. Held at Café Lambretta about 2km inland from the rocky outcroppings of North Anjuna, where – once power issues were sorted and the system put through its paces – a nice dance slowly developed over the evening. The rootikal selections of Realoveution Hi-Fly and Filufferroots – who both hail from Sardinia in Italy and were involved in the design and assembly of the sound – gave way to wider selections from Diggy Dang of the Rajahs. Soon plenty of vocalists were passing the mic, a good-spirited session emerging from the pride and excitement as the week’s celebrations properly began. As the chilled-out session turned hot, Delhi Sultanate, Forelock (also from Sardinia), Zafayah and several others took on riddims from foundation forward. The following evening shifted the party about 20km north, to the end of the beach in Arambol. 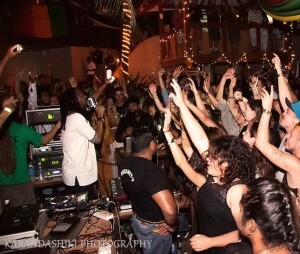 Arguably the heart of reggae in Goa, this is where the music enjoys a strong following stoked by a weekly Thursday-night beach event all season long: Reggae Rules The Beach at Opinhal beach shack. Artists aside, this was a different crowd from the night before: diverse but with tanned dreads definitely well represented. Run by French selector Rudy Roots and already in its fourth season, this night fully satisfied everyone’s beachside party needs. There was a varied international lineup and the vibes were out in force. After the warmup, Tashi Lo Fi, direct from Kathmandu, sang passionately over a mixture of production styles to showcase the work of his Cultivation project. Then came the Swedish duo of Oland Roots Crew, dropping some quality new roots selections, before India’s own King Jassim took over. Handling both vocals and instrumentals, he commanded the stage with confidence, long locks constantly in motion. Following was Rudy Roots, who was joined on stage after playing just a few tunes by a bevy of vocalists already in for the fest, including Diggy Dang and Zooz of the Reggae Rajahs, Delhi Sultanate, Cian Finn, Forelock, Steppa Style, Naâman and more. Running riddims at length, the energy was palpable on stage and in the dance. My own set came next, with King Jassim returning to hype up the crowd early and then, as styles shifted and genres switched, other MCs returned to the stage for a second session. All this set the stage quite nicely for the final artist, Tarqeeb. Representing Delhi, he kept the bass turned up with fine dubstep and beyond, the vocal talent shifting with the rapid-fire delivery of MC Solomon and the deep medi vibes of Christabel Menezes helping to set a new tone. As five o-clock – and breakfast omelettes – neared, Opinhal finally became as empty as the rest of Arambol beach. Friday brought the pre-party vibes back to Anjuna, at the long-standing Guru Bar. Perched atop rocky cliffs, the venue hosted arguably the most musically diverse night of all. Beta Simon of the Ivory Coast, started things off with a strong solo performance of voice and acoustic guitar. Then the Dewdrops band – from Rymbai, Meghalaya, in far north-eastern India – soon took to the stage. The six piece, rumored to have spent three solid days en route by train, slowly filled the burgeoning dance floor over the course of their two tight and dynamic sets. Singer Forelock was invited on stage for the finale, a rousing rendition of Mellow Mood’s “Dance Inna Babylon” which was a true highlight of the week. Continuing the evening’s trend of variety, next up was DJ Su Real, who nimbly walked the line between underground and commercial; his set was infused with plenty of bass and dancehall that kept the crowd pressed close to the stage. Closing out the evening was the intriguing pairing of DJ Uri and Grzly Adams. 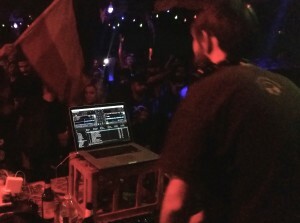 Each performer had his own mixer and turntable, enabling them to create a unique collage of sounds presented with true turntablist flair. A sonic adventure for sure, one that not only went over well but also pushed genre boundaries. With three days of pre-parties in the books, it was now time for the festival itself! The venue, Nyex Beach, stands fortress-like aside a dusty elbow of North Anjuna’s narrow tourist sprawl. Previously it was the once-thriving Paradiso – founding heart of the psytrance scene – but after being shuttered for half a decade it has recently been revamped and redeveloped. The result – four floors of comparative luxury – is mostly a success: a spacious setting aside a killer sea view with ample room to dance, plus lounge areas, an accessible bar, and surprisingly solid washroom facilities. The event then added far more than just the varied line-up and the ten thousand lions of bass power: featuring a DJ booth in the round, minimalist but appropriate tri-color decorations, and a small – but mostly handmade – craft market. And in case the upmarket bar prices (200 to 400 rupees per drink on average, nearly double most of the other venues) caused any issues, there were also vendors just outside all through the evening. While naturally focused on facets of reggae, other sounds trickled in as well, from the afternoon’s dubstep and 160bpm bass music of EZ Riser to the drum-and-bass flourishes embraced by headliner General Levy. With gates open at 2pm, Gabi D – a well-respected selector from the UK – kicked things off with a range of roots which showed her knowledge and taste while also providing the early crowd with an appropriate musical foundation for the musical journey ahead. Filufferoots continued in a heavy rootikal style, joined by Ka Reem to nice up the mic. Then came the aforementioned EZ Riser, spinning an arguably late-night set that went over splendidly with the still-forming crowd. The poolside loungers chatted to low-end theory until Dub Cub took over, touting strictly UK tunes to start. Eventually he was joined by Irish vocalist Cian Finn, by which time the dance was definitely heating up. Realistically, with around 16 hours of music advertised, it was understandable that much of the more casual crowd would be slow to arrive given the heat of the day. From there, as afternoon turned into evening, each performance seemed to draw more people in front of the towering 10,000 Lions Sound System. The all Indian collaboration of Dakta Dub (Hydrabad) and King Jassim (Bangalore) – who were joined by Delhi Sultanate as well – laid down more heavyweight selections. Zafayah’s thirty-minute showcase, emphasizing his smooth tenor-range vocal prowess, was also received well. Delhi Sultanate then returned with wax in hand, commencing with a special recorded just for the occasion. 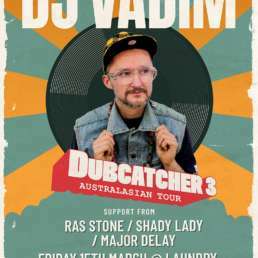 Arguably the true veteran of the subcontinental reggae/bass scene, his vinyl set did not disappoint. By now Anjuna was engulfed in darkness but Nyex Beach stayed bright, as the raucous crowd remained strong in the dance. 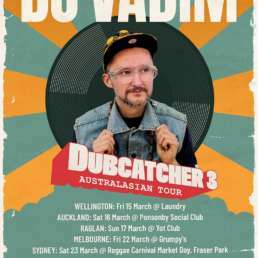 Roman NZ and Steppa Style went for up-tempo bass-driven selections, fitting nicely with the Russian MC’s at times gruff vocals. The fire dancers swaying seductively above definitely added to the vibes as well! Cian Finn’s official set then, aside a representative from the Dub Smugglers crew, let the Irish singjay’s situational lyrics shine. In Goa to record his next album, he was amongst the most comfortable on the mic even in pants and a sweatshirt! Frenchman Naâman came next, highlighting many choice tunes off his latest full-length release Rays of Resistance, copies of which he later kindly passed out to fortunate fans. The following two acts were not only the apex of the festival, but also the culmination of years of hard work and development within the Indian scene. Hosting crew Reggae Rajahs – participating members being Diggy Dang, General Zooz, and Ziggy the Blunt – joined by the multifaceted vocalist Forelock, delivered a strong set in celebratory fashion. 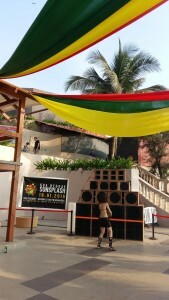 The dance floor was full from the speaker stack to well past the booth, reggae heads and selectors crammed in behind, and the Goan night provided a lovely backdrop for such a symbolic occasion. When the fast-chatting General Levy took the mic next, to an amped up crowd answering his call for ‘more fire,’ the famed “Incredible” MC’s confident style and expressive fast-chat gave them just what was needed. Thus, the ensuing unfortunate (yet ultimately well-handled) technical failure – both the mids and highs cut out completely on the sound system – definitely put a momentary damper on things. And while first General Levy and then Diggy Dang nobly soldiered on with only lower frequencies available, the opening up of a complete back-up club room (indoors, two floors away) was a prompt and impressive solution to what otherwise would have been an abrupt and slightly disappointing ending to the festival. Instead the somewhat decreased – but still dedicated – crowd packed it in upstairs to enjoy the return of General Levy, who used his power and professionalism to quickly rebuild the energy level. The music – the real focus after all – triumphed in remarkable fashion over the sudden change in both ambiance and equipment. 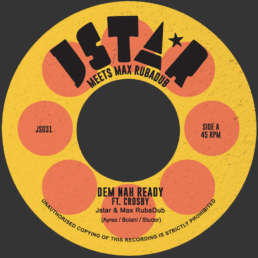 Nearing 4am, Rudy Roots’ delayed set was well-worth the wait as the mic remained hot enough in the capable hands of Forelock, Cian Finn, and King Jassim to repeatedly draw Levy back out to exchange verses and chants well on til dawn. Members of the Rajahs as well as MC Solomon appeared later in the session too, with riddims and pull-ups aplenty! Sunday’s post-party then, at Riva Beach Resort in Mandrem, was an understandably laid-back affair, at least to start. Located about 15km away from the previous night’s festivities, it was only logical that those who stayed late in the dance would take their sweet time to reappear! The DJ booth and dance floor were directly poolside, with ample room to relax on the surrounding grass, all of which helped to create a comfortable and friendly atmosphere. But the vibes were still irie: early selector Baba Jas (hailing from Ahmedabad, two states away in Gujarat) was joined by Cian Finn for some sparse dub and steppers. Over the course of the afternoon, a wide-ranging bevy of DJs from France (Pyms), Russia (Tippa Mult), and India (Mr. Nobody) followed. People kept arriving; so as dusk turned into darkness, Rudy Roots (Goa reggae scene stalwart, plus the day’s organizer) took to the decks for his third session of the week. Joined for this finale of digital ragga riddims by usual suspects like Cian Finn, Naâman, MC Solomon, Steppa Style, and others, a nice spontaneous musical twist occurred when female vocalist Synchroshakti appeared to sing her latest tune “Look Up,” with the ever-present Forelock literally setting down his camera to handle a verse. This genuine sense of community led nicely into the bpm-shifting bass of Sickflip, which served to wrap up the night as well as the whole Goa Sunsplash festival. Including a few of his own productions, the Mumbai-based performer’s set started on a house-influenced tip before shifting into near-dancehall territory. Naâman and Cian Finn ably took up the mic, showing that sound system culture represents far more than just reggae. 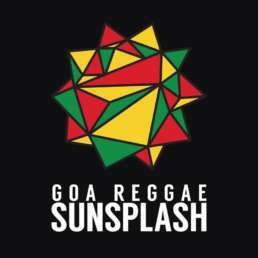 That message was a truly fitting conclusion to this impressive debut for the Goa Sunsplash festival. 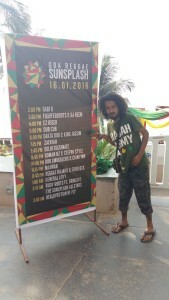 Both well-organized and well-implemented, with five diverse days of solid musical enjoyment, the Reggae Rajahs and the extended Goa Sunsplash network ably stepped up to a formidable challenge and delivered. With a 2017 follow-up festival seemingly assured, two operational Jamaican-style sound systems (10,000 Lions and the just-crowdfunded Bass Foundation Roots), and talented selectors and MCs aplenty, eyes in Asia and beyond ought to be on the subcontinent as a shining example of how a local reggae scene can quickly and professionally mature.